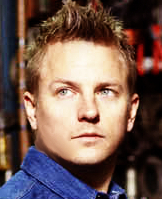 P2 for Kimi. Another podium without victory, but first podium since he's back in Ferrari. The man of the day. And a fastest lap! Kimi walking in the paddock with his arm around Minttu shoulder. Love is in the air. On SkyITA they said that the sign on the contract for Kimi could be even before Monaco. YES, that`s what he needed!! it was really great! finally all went well! i;m so very happy!!! Wow thanks for all of those videos! Freaking amazing race from Kimi. This result has been a long time coming, Kimi has showed great pace in the races so far, therefor it was high time that his pace started showing the actual results. I had a feeling Mercedes were sandbagging a bit on Friday, and clearly they still have better pace then Ferrari. I just hope Ferrari can actually reach a point where they could actually challenge Mercedes. Ferrari really has their work cut out for them now. Kimi back on the podium after 26 races and on P2! He always seem to be missing a couple of laps more though but even if he did had them, it's not as easy to overtake Lewis if not in a significantly faster car. PS: What was wrong with Vettel? He wasn't focused at all. I'm glad Riccardo could still finish the race after his engine blew up . And how did Alonso managed to overtake Kimi even with a crappy car? Anyway, the important thing is the reporter from Spain who was also there asked him: -You said you wanted some nice races, does this one qualifies as one? And Kimi said: -Yes, it was OK.